Financial transactions like a merger or acquisition, carve-out, divestiture, or IPO can play a pivotal role in your company’s future as long as you adopt a well-informed approach that vastly increases the odds of a successful transaction. Such an effective approach begins before the transaction itself, adequately preparing your company for the rigors involved throughout the process. 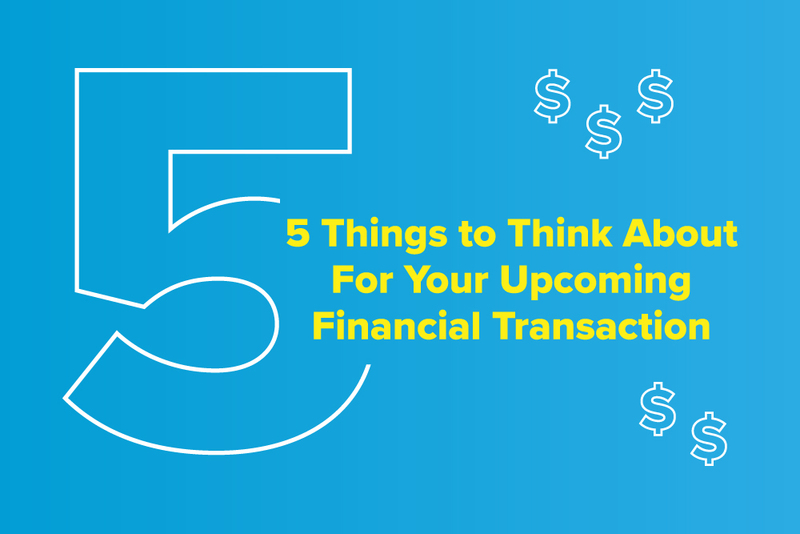 To maximize the positive impact of your upcoming transaction and realize the value that prompted it in the first place, Embark has highlighted five things to keep in mind before you proceed. No matter the size of your organization or the nature of your financial transaction, you’re going to need enough talent and expertise to address all of the tasks and responsibilities adequately. Most companies don’t have a dedicated M&A team so the responsibilities associated with a transaction come in addition to an already full plate of day-to-day tasks, further stretching your team. Before proceeding, make certain your in-house headcount is sufficient and has the necessary skill set. Consider using an outsourced group to smooth the process, cover all of your bases, and ensure continuity and a seamless transaction. Think of the many decisions, calculations, and reports involved in a merger or acquisition. Multiple companies are involved, making effective communication difficult between the various systems preferred by the individual parties. Before proceeding, review your existing systems to gauge their capabilities, then develop a short-term plan to address the consolidation of financial reports and records between the two entities. Likewise, your long-term plan should focus on the streamlined integration of the financial systems from the two companies. If in question, consider implementing new systems or integrating multiple platforms into a more unified solution. A change to your financial systems will inevitably impact your processes and controls. An impending transaction only exaggerates the need to have the most effective and efficient processes and controls in place. Think about the consistency required for a smooth transaction and how similar or different the processes and controls are between the companies involved. Since no two companies or control environments are identical, keep the most effective processes and controls between the two entities and work on a replacement plan for any subsequent gaps. Depending on the financial transaction in question, financial reporting requirements and timelines could very well change. The same holds true for audit requirements, possibly changing in response to the transaction. Conduct your due diligence ahead of time to understand and prepare for changes in reporting and audit requirements, making sure you’re in-line with any new deadlines and looping in your auditors as early as possible. You might even find that additional audit procedures are necessary depending on the circumstances. Also, it is imperative you have the necessary resources in place to provide the pro formas, disclosures, and many other requirements that may be involved, not to mention the guidance needed to put the different pieces together. Likewise, take the consolidated financials into consideration, all the way down to individual line items. Complex transactions come with particular technical accounting requirements. Purchase price accounting, for instance, necessitates specific allocation of the acquired company’s purchase price across assets and liabilities to create an opening balance sheet. From an accounting standards perspective, FASB guidance on business combinations, ASC 805, and revenue recognition, ASC 606, must be heeded to ensure proper and consistent accounting across the company. Similarly, stock compensation will likely undergo significant modifications that impact accounting. Of course, these are just a handful of examples amongst the many areas of technical accounting that you will likely have to address. Aside from those five topics, remember that other dynamics can and do arise, particularly from a CFO or COA’s perspective. In the case of a merger or acquisition, the transaction could also displace a workforce, leaving your company in need of talent solutions to shore up gaps and ensure continuity. This need is a particular focus at Embark, where our consulting solutions provide value by assembling strategies to preserve that ever-important sense of continuity and a seamless transition.